Look at the data in number 1 and 2 below. Infographic to compare the above two. Using the graph paper provided, create two charts beside each other comparing the 1881 and 2011 demographic data for Winnipeg. 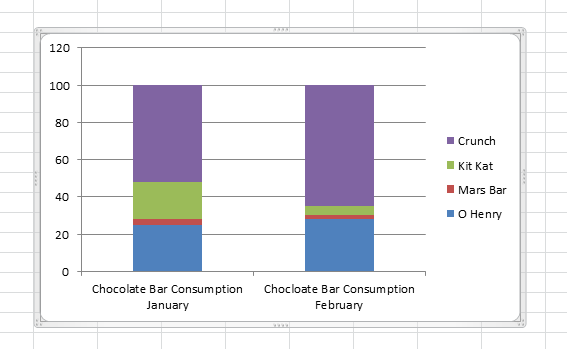 Two bar charts (also known as column charts) beside each other would be the most logical way to set your charts up. Pie charts may also work. An example of a column chart is on the right. You should have a different color for each ethnic group. Since the ethnic groups are different in each time period, you may have to do a bit of adjusting to make that work smoothly.